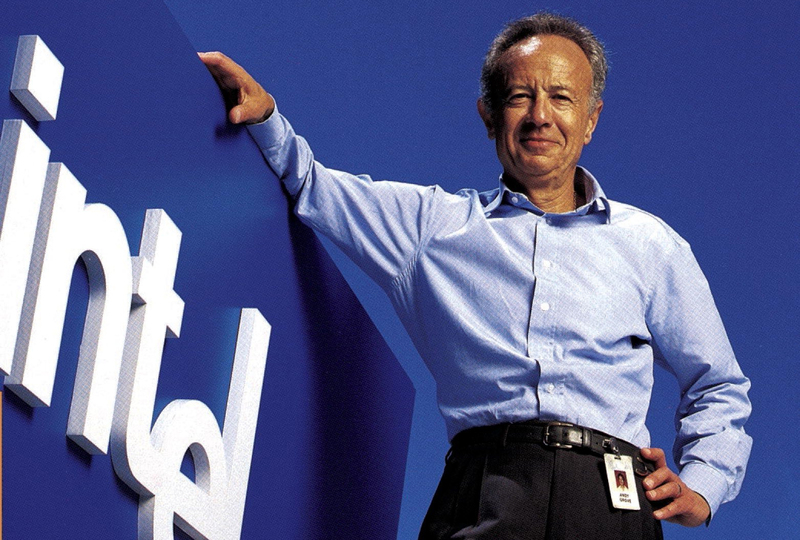 Andy Grove, one of modern technology's most influential men, shared his thoughts on how to run your company smoothly. Last year, after reading Ben Horowitz’s comments on Andy Grove’s High Output Management I decided to read the book. The concepts were the foundations of some of Silicon Valley’s management principles. While the book was first published in 1983 it remains incredibly valuable. “Let chaos reign, then reign in chaos.” When undertaking a major change in a company chaos is unavoidable. You will have to face it, you will have to accept it, and ultimately work through it until you manage to return to a level of clarity. "A team will perform well only if peak performance is elicited from the individuals in it." Reacting to the unexpected is similar to a way fire fighters are trained. First you have to train your team to become energetic and responsive, then they will be able to thrive in both expected and unforeseen circumstances. “Enhance your value, hone your competitive advantage, learn, adapt.” Bring value to the company by passing information quickly, trying new ideas, trying new techniques, discarding those not working and reiterating the process. Whether you’re recruiting, making a compiler, or training a sales force production is divided into three fundamental areas: process, assemble, test. Process converts raw material into a more elaborate component. Assembly joins several components together. Testing evaluates if the end result is meets the requirements determined. The lower down the value chain you spot defects the less money will be lost by the company. “The first rule is that a measurement–any measurement–is better than none.” It’s essential to use indicators to evaluate production compared to your operational goal. Often one indicator isn’t enough. If, for instance, you aim at reducing inventory of your company you have to add a second indicator: occurrences of shortage. 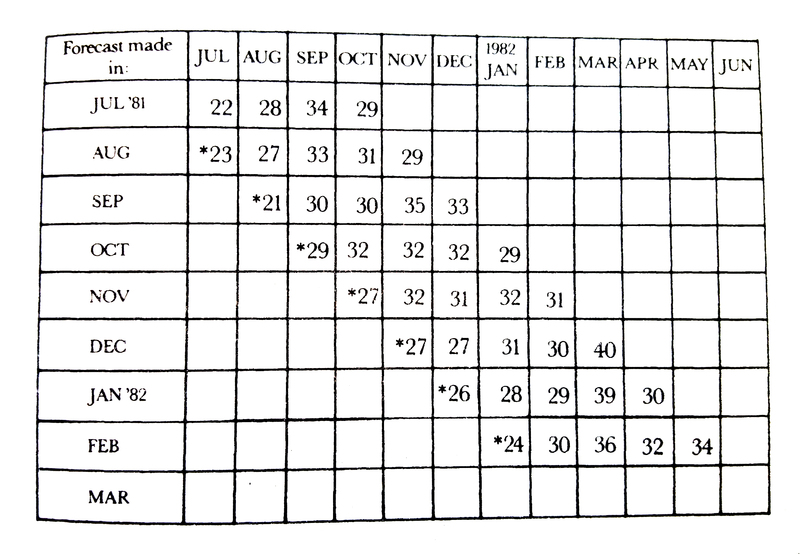 “The stagger chart [is] the best means of getting a feel for the future business trends.”The stagger chart shows the forecast for the two succeeding months and is put in perspective with past forecasts. When comparing the improvement or degradation of past forecast you can learn a lot about business trends especially if your business is recurring. Middle managers are expected to perform based on their forecasts. Parkinson’s law tell you to keep short time cycles. The more time you have the more time you’re likely to waste. It’s crucial to build some “slack” into your predictions. Keep monitoring and add variable inspections to your process. Work harder AND work smarter. A manager can learn to leverage her skills to produce more. First: create an exact flow chart of steps under your process. Second: count the number of steps. Third: work on removing unnecessary steps by questioning why they exist. You can expect a 30% to 50% reduction of the number of steps. Key roles of a manager: information gathering, nudge her subordinates, and decision-making. A manager’s job is never finished and can never be finished. There’s always more to do, there’s always more than could be done. A manager "should move to the point where his leverage will be the greatest." Reports aren’t inherently useful to its readers. They are mostly helpful to the manager writing them as they’re a self-disciplined to think and deal with issues that emerged. Seek several information sources to verify you’ve learned the information in question. A manager is a role model for her subordinates. You should act accordingly. A manager’s leverage could be defined as an activity that takes a short amount of her time but has a long term event on its subject. A high leverage activity is listening to customers. By batching similar tasks a manager can work more effectively. A manager who spends more than 25% of her time in a meeting it’s sign of bad organization. One-on-ones between supervisor and subordinate is the best way to exchange business information and know-how. 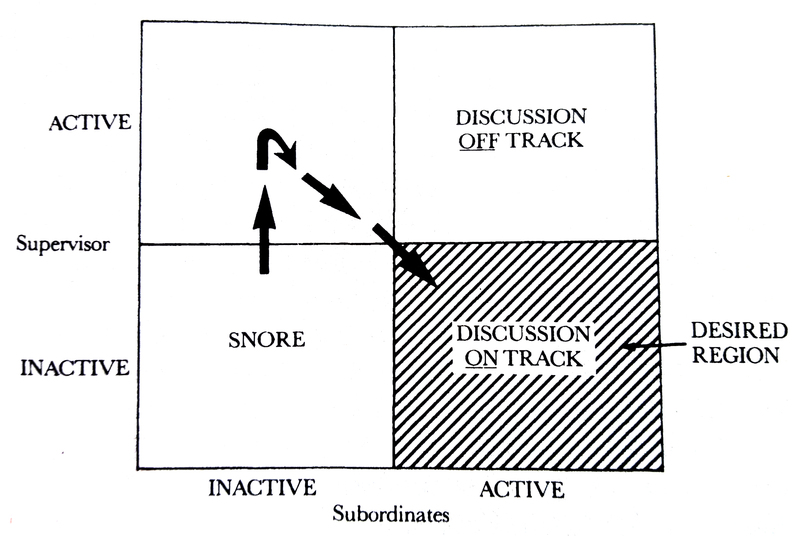 Frequency of one-on-ones depends on the acquaintance of the subordinate to the execution a specific mission. The less acquainted she is the more frequently the meeting should happen. A meeting should have no more than 8 persons. The chairman has the responsibility of describing exactly what happened. Attendees should receive the minutes before forgetting what happened.